I have a do and don’t list in my head. You know, the kind you check off to make sure you are on task. But this is a decor checklist (of course)! It is a list of things I should and should not splurge on. In the left column of this mental list is the DO column and in the right column in the DO NOT one. I thought it might be time to not only write it down but share it with you too! So here it is my list of decor I should and should not splurge on! Lamps come in a gamut of prices and quality. But anymore, you should be able to get a fabulously styled lamp at a reasonable price! Lamps are great accessories and great items to use to make a little decorating splash in a room. If I like to update items they usually go on the DON’T SPLURGE list! Once upon a time a couple decades ago and beyond many of us bought gorgeous, expensive oriental accent rugs because we thought we would have them forever. And we probably still do! Even if our styles have changed we still have them! I have a few rolled up over the garage because… you guessed it… my taste has changed, a lot! I now buy rugs at reasonable prices and use them until I get tired of them. You can get fabulous, beautiful rugs that will work with today’s styles and still look as amazing (well, almost) as those rugs we used to pay thousands for! I have a thing for chairs! I love their shapes, colors, and fabrics. And I don’t spend big bucks for them. I do have a few “foundational chairs” in my home that get lots and lots of use and they are more of a investment. But for the most part, my chairs are very reasonably priced and some are downright cheap! Don’t overlook buying chairs at thrift and vintage shops, especially if they just have an upholstered seat. You can repaint and upholster them and they are one-of-a-kind treasure! You can see my favorite accent chairs HERE. Now, this is totally me and may not apply to you. I love going to museums and appreciate art but I don’t splurge on it. I tend to get tired of most paintings when I live with them. So I prefer using architectural pieces and mirrors and fun, funky art like the one above! I have a few gorgeous pieces of original art that are so precious to me, but for the most part, I don’t invest in art! Mirrors go in this category and in don’t splurge too! Gorgeous mirrors are as far away as your local vintage store. I just got two stunning gilded mirrors from family members. Score! They are very good quality! Always look for great quality in the glass too! But if you are a savvy shopper you can get really high quality mirrors at great prices! Just like the Don’t Splurges on my list, coffee and end tables come in various prices! I don’t necessarily get cheap coffee and end tables but I look around for great looking pieces or very good pieces on amazing sales. These pieces tend to live longer in my home before I get bored with them or I switch them from room to room. Our coffee tables are used quite hard and I don’t want to chase after family and friends with coasters etc. because they were such an investment I’m afraid they would get a water ring on them. So no need to spend a fortune! A sofa is one of the biggest pieces of furniture in your home and usually gets the most use. Make an investment on a sofa! Did you know, the average sofa is only made to last about seven years? And after years and years of use how much dirt and grime and oh, my goodness who knows what else has been ground into it! Buy a great sofa. I would suggest a down wrapped foam core sofa. They are my very favorite!!!!! And I say, go to a brick and mortar store to check them out. Know what you are getting. And make sure your fabric is exactly what you want. I tend to look for the materials that hold up to a lot of wear and are cleanable. That usually makes sofas more expensive. But I am willing to splurge to get a better sofa for our home. Now, when I say “splurge” it is within reason. I cannot afford a sofa that is $6,000.00! But I will pay around $3,000.00 for one. For me, that is a splurge. And you can get a fabulous sofa in that price range! A great night’s sleep is worth its weight in gold! We sleep on an average 22 years of our lives. You owe your body a mattress worth sleeping on! Skimp on your bed, not on your mattress! Most mattresses have a 10 to 20 year guarantee. So make the investment and take good care of yourself and get a night of sweet dreams! I will splurge on a lampshade and not a lamp. I can get a very pretty and stylish lamp at HomeGoods or Wayfair. I usually take off the lampshade and invest on a beautiful shade! I think you can really tell when a lampshade is cheap. I’ll spend a little extra for a nice lampshade that I can keep for a long, long time! You will never regret buying a lampshade made with a superb fabric and updated shape. Use them in your home, but only if they are fabulous! If you cannot tell if a bloom or plant is real or not when you are within 3 feet then make the investment and buy them. I look for them at local design and decor shops. And I usually wait until they go on sale. I have been doing this for over a decade and now has a really nice collection. 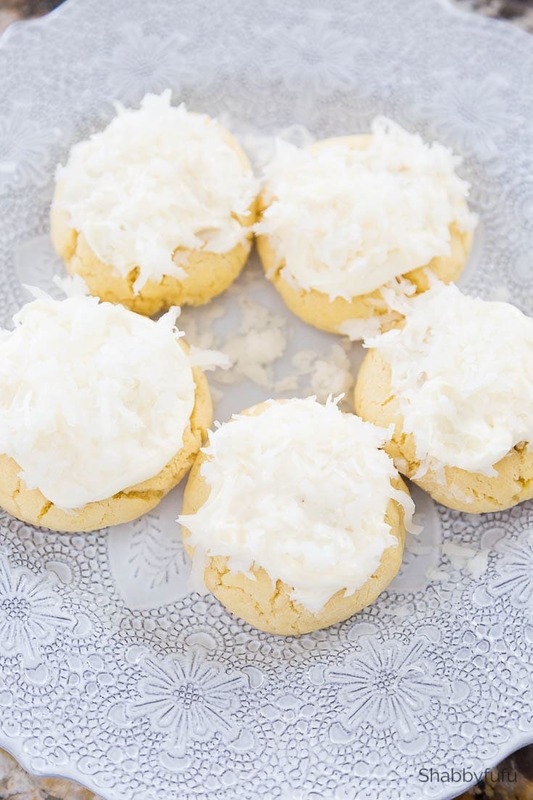 These are worth the splurge! You can see my post on Making Faux Blooms Look Fabulous HERE. Every once in a great while I find something that makes my heart sing! These are usually home decor pieces that I just can’t get off my mind. Mostly they are small accents rather than legitimate pieces of furniture. Mostly, but not always! 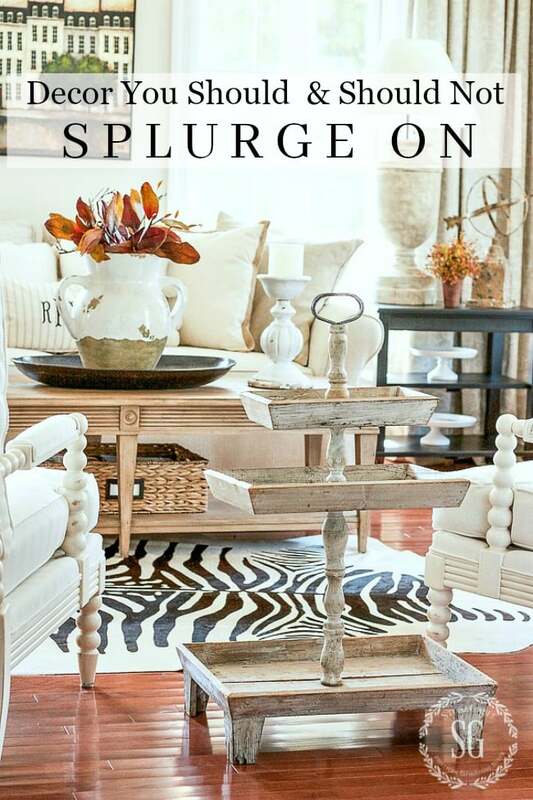 Now, I’m not telling you to splurge often but you will know when something is so right that having it would add to your home and every single time you look at it you go weak in the knees! One of my favorite not-so-guilty guilty splurges was a big huge swan soup tureen! When I saw him over two decades ago I was awestruck! He is utterly magnificent! Almost as big as a swan and hand painted. A truly noble looking fellow! I hemmed and hawed and because of the sticker price left without it. But I could not get this beautiful piece off my mind! My sister eventually brought him home to StoneGable when he went on sale. Still a splurge back in the day. But I’ve not for one minute regretted buying my beautiful swan tureen. 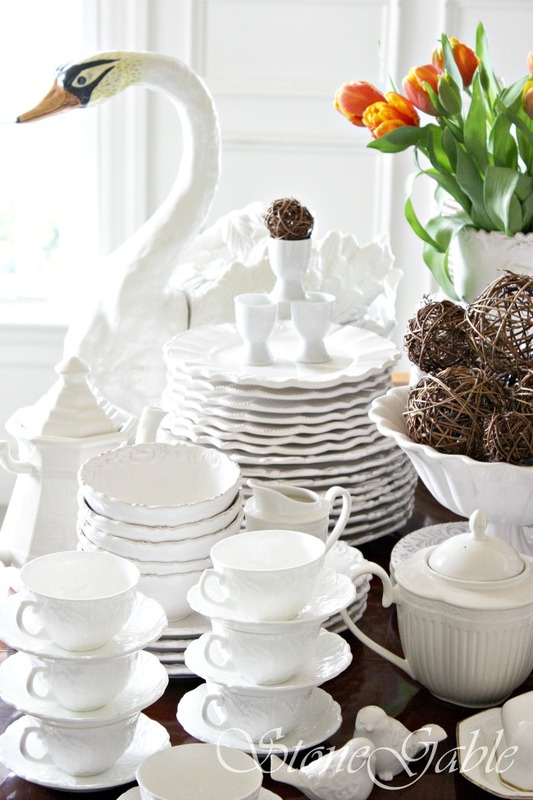 It’s important as a home decorating enthusiast that we hone and curate our homes. And when it is time to spend our money on decor we should know how to spend very wisely. Knowing what to splurge on and what not to will go a long way in helping your create a beautiful home! Now, what’s on your splurge or not splurge list? I’d love you to share some with me! Yvonne, I really enjoy your posts! They are always so helpful! How nice of you to share all your info with us! You are just such a wealth of knowledge and we really appreciate that you take the time to share with us. Bless you! From a grammar freak…Just to let you know that when you place yourself at the end of a sentence or at the end of a list at the end of a sentence, grammar rules say that you must use “me” not “I”. For example, the paragraph that starts “Today on the podcast is Decor You Should Splurge On….” you wrote “You can hear Anita, Kelly and I as we list off the items… It should be “Anita, Kelly and me” because it is after the verb. Use “I” in the subject of the sentence and “me” in the predicate part or after the verb. I am seeing this blooper more and more along with no one uses adverbs correctly, like “She does it beautiful.” It should be “She does it beautifully.” Enough said. 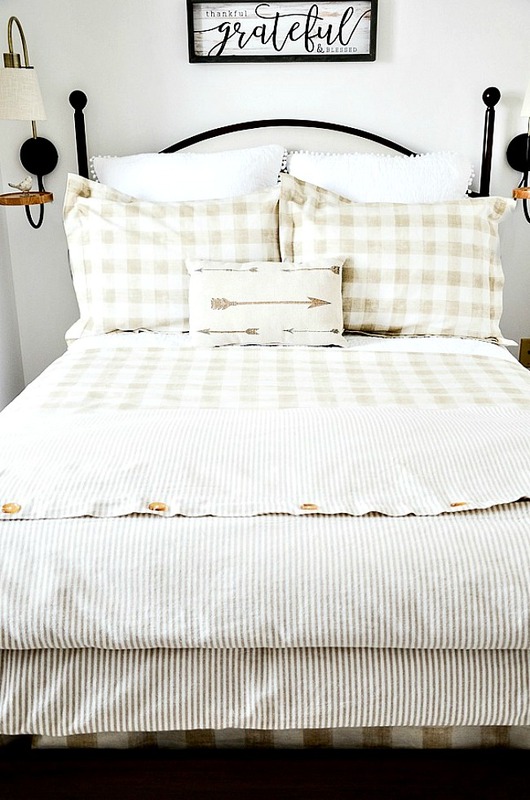 Splurge on bedding–again you spend alot of your time in bed so make it feel cozy and comfy. Splurge on cooking vessels—my Revere Ware copper bottomed pans saved my home from burning to the ground. Splurge on bookcases–solid real wood not the cheap particle board kind. And again as stated above—good silk flowers and real wood wreaths. Most importantly real good computer desk chairs…don’t skimp on these–you will get what you pay for so don’t sacrifice your back to save your wallet!! Thank you for the information on the chairs, on the silk flowers it is hard to find quality fake flowers but when you do they will last a long time and it is important to store in containers. Love decorating our home speaks volumes not only to our guests but to us as well my home can make me smile and brighten my day. Thank you also for the scripture readings. This really got me thinking! I don’t have lists of this sort and after reading this blog, I tried to sort out dos and don’ts. I have an obsession for nice fabric:( I love to buy it with the idea that I will reupholster a piece of furniture and then I change my mind and go buy more. Sad, I know. I did buy lots of down pillows from Goodwill (washed them) and started recovering them, using fabric from my stash, to just get rid if it. You have once again inspired me to take the time to evaluate how I should prioritize what I buy and what I pass by. I enjoy your good insight and suggestions. I splurge on window treatments and decorative objects. I choose something unique & gorgeous. Great podcast! Yvonne can you tell me where to find the show notes? I’m interested in the stick vacuum you all discussed. Thank you! Yvonne, I’m always excited when your blogpost arrives in my box….I’m totally smitten with your style and words of wisdom. One thing that I don’t splurge on are my tablecloths, napkins, runners, etc…. If I don’t spend a lot, I can switch it up often without feeling guilty. Lots of textures, colors, patterns to play with, without breaking the bank. And when that splash of spaghetti sauce hits, I’m not frêaking out. The less expensive things actually perform better and wash up nicely. My mother has beautiful hand tatted and embroidered table linens that I wouldn’t dare use. Some things are better left in the hope chest and not on the table. 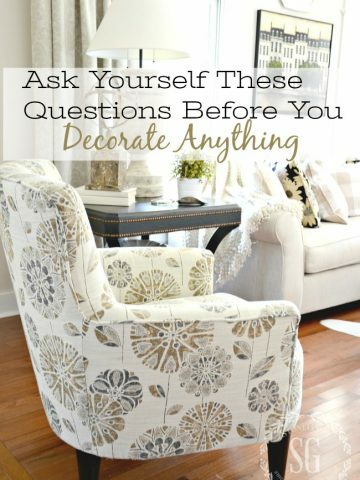 Very timely post as I’m redecorating my living room. I’m splurging on Scalamandre fabric for my wingback chairs and washable linen to slipcover my existing sofa. Fortunately, I was able to pick a gorgeous Hinkel Harris huntboard for a fantastic price just before “brown furniture” started to come back in style. I’m saving on my glass waterfall coffee table, sofa table and X bench’s. I’m tore on lamps as I’m in love with the Bunny Williams brushstroke lamp. All my blue and white porcelain is a high/low mix. Very timely post as I’m redecorating my living room. I’m splurging on Scalamandre fabric for my wingback chairs and washable linen to slipcover my existing sofa. Fortunately, I was able to pick a gorgeous Hinkel Harris huntboard for a fantastic price just bcomefore “brown furniture” started to come back in style. I’m saving on my glass waterfall coffee table, sofa table and X bench’s. I’m tore on lamps as I’m in love with the Bunny Williams brushstroke lamp. All my blue and white porcelain is a high/low mix. Funny you mentioned faux stems. A year ago, I was inspired by your suggestion to use faux stems, especially around the post regarding forcing buds from cuttings…it worked with my forsythia, but not with my finicky weeping cherry. I WANTED some of that gorgeous pink in my container. So I went to Hobby Lobby, and selected cherry blossoms, and a few random stems that were pink and green. When I got them home, they looked awful. They looked fake and cheap. 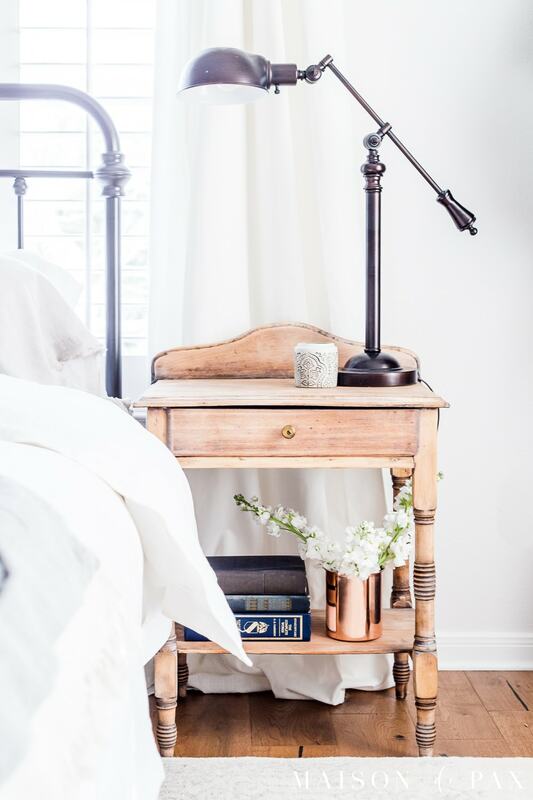 I subscribe to Antique Farmhouse, and one day their market sale was a variety of faux florals. I FELL IN LOVE with the cherry blossoms, both pink and white, and I splurged on three stems each! They just came TODAY, and I just finished arranging them with my dead leftover weeping cherry branches from last spring. It looks incredible! I wish I could attach a picture❤My husband was annoyed with me, not so much because of the more expensive price tag (which was really quite reasonable) but because he said, “where are you going to store those? !” Hahaha…I will find a place for them! I am so happy I didn’t settle for the inferior product that I purchased elsewhere (I returned everything), and happened upon these by pleasant surprise. So worth waiting for, and I must give a plug for the brand, RAZ Imports, of which I have many other garlands and home decor items from this company, and LOVE their products! Such nice quality, and truly very reasonable, but it is a splurge, because these items don’t carry the discount prices of the craft store. Great post, as always, Yvonne. Hi Yvonne! I just read your Splurge, Don’t Splurge article and though it was great! I especially liked the lampshade advice! Great idea! I always enjoy what you have to say so thanks for taking the time to blog!! Wow! Your lists and my lists are exactly the same!! Woo-hoo! That’s very exciting for me because I have a lot of admiration for your great decor ideas!! Thank you! On the subject of signature scents…I was once told that the White House had a signature scent. This was in the late 70’s -80’s. The scent was Claire Burke Original. I’m from Chicago and Marshall Fields carried Claire Burke. I bought this scent for literally all my friends and they loved it. I have bought many more expensive candles and have enjoyed them but I still go back to Claire Burke. You can buy all of her candles on Amazon. There is a diffuser too. I put that in my powder room. Never does anyone come out of that bath without asking what the smell is! Ok, Claire Burke Original is my “signature scent”! What a wonderful post!! Thank you so much for your wise guidance! Perfect timing for this article, I so needed it. We downsized and I purged some things I was either tired of or just didn’t think they would fit. I was surprised how much room we really have now. 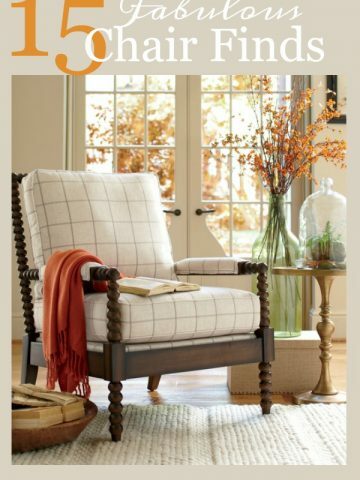 I am in the process of deciding about chairs and some of those splurge items. Thanks for shaing with us. Petals.com has gorgeous faux flower stems, plants and arrangements. They are a tad pricey though they have sales from time to time. But they are simply gorgeous. I completely agree with your do and don’t list. We splurged on our mattress and couch. For splurge items I tend to go with traditional designs and neutral color and then add color with accessories like pillows, etc. because I know that I’ll have them for a long time. I tend to save money on curtains because I don’t like heavy formal drapes. Just want to frame the window and let as much light in as possible. And have things that can be washed rather than dry cleaned. Your home is lovely and I love your style. I agree with everything you recommended. I have an accent chair thing too. I recently bought 2 chairs for my husband and I to watch tv in. I paid a little more because I knew they were going to get used and possible get coffee spilled on them? Also there is a lot of new small furniture companies online now. I learned a lot researching these chairs. Great advice that I totally agree with! We are looking at new mattresses and who knew they were so many styles/options/prices!!! Where do you recommend to buy lampshades? I have a hard time finding them. I totally agree with your do and don’t list.Most of us tire of things after years and our taste changes with the times.Just updated with a new lamp for my living room, bought it at Kirklands on sale of course. Love your posts good advice. We recently did splurge on two matching leather club chairs for our family room – very pricey – but great quality, manufactured in the US – which is very important to us. 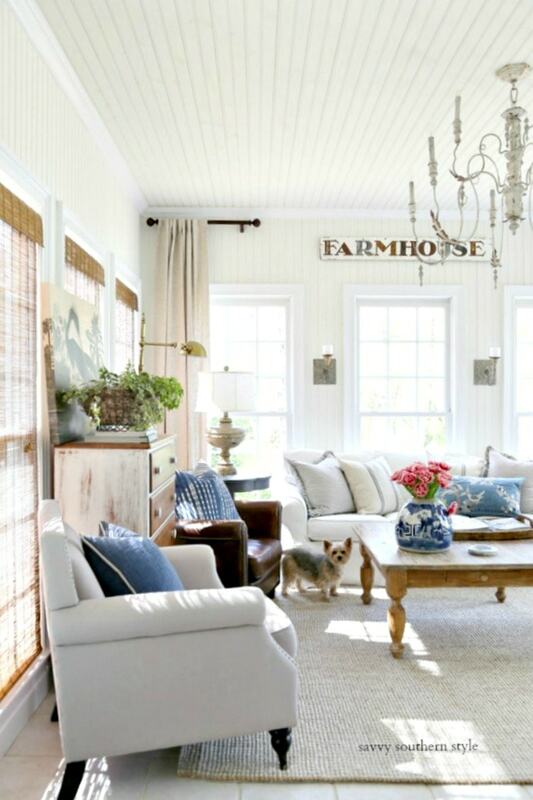 I love the farm/Pottery Barn look. Pottery Barn buys a lot of their items outside the US, and although the style is great the leather quality is not good. It is a composite leather product that is literally pasted on a backing. Who knew? It’s great to buy a bargain, but when is a bargain really a bargain? We spend the majority of our evenings, and winter days as well, sitting in these chairs. We do a lot of reading, watching TV, etc. At our ages it’s important to splurge on a great quality item that gives a lot of comfort as well as style to your home. This fall we will be buying a new mattress – would love some insight and suggestions for that. If you go with latex foam or memory foam, make sure you have one with a “cooling” feature. We love the comfort of our latex foam mattress but it holds body heat. Also, our king sized mattress is quite a chore to flip every three months. That sucker is heavy! Yvonne, Sometimes you are just funny, as in splurging on a lamp shade but not the lamp. I totally get it! And thank you. I think I have found my new curtains at Ballard Designs! Totally agree on your do and don’t splurges. Can’t believe how much my tastes have changed over the years. My husband prefers I not splurge on anything 🙂 but whole heartedly agrees re quality mattresses. Were you peeking at my list? Our favorite coffee table is an old butcher block table from our previous home. We cut the legs off so they were coffee table height and it sits in front of the sofa we use when watching movies. It is indestructible and you can put anything on it without worrying about whether it can take it or not. Love to repurpose something when possible. Yvonne, I absolutely LOVE your hen lamp!!! Any idea where I could find one like this? I love the swan also, but the hen lamp is precious! I agree with the couch and the mattress….I’ve been looking for awhile for a mattress. Can’t seem to find the right one. Thank you for the perfect list! Special thanks for mentioning faux flowers. While we almost always have fresh cut flowers on the kitchen table and live orchid plants in the foyer and sunroom, you can find lovely and realistic-looking faux arrangements to tuck into bookcases or to add to window-less rooms. Faux orchids when done right can look amazingly real and easily pass the 3-ft-away test! My adult daughter used to give me a hard time about them, but a few years ago she bought a faux red orchid and is now a believer. Personal tastes do change – I think we all need to be open to the possibilities. 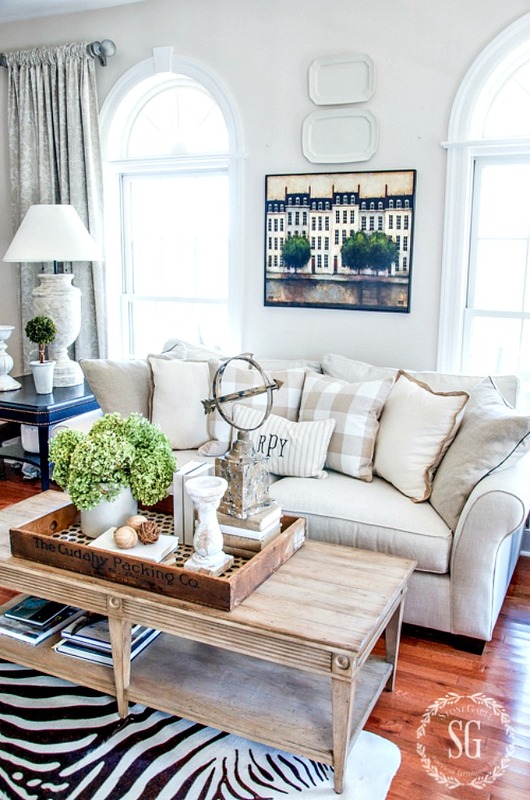 Great tips on “do and don’t” decorating. So right about the sofa. Thanks for the advise. I would never have thought to NOT splurge on a lamp, but YES, splurge on the lampshade. Blessings! I whole heartedly agree with you on the mattress splurge. We have never ever regretted it, and some nights when we are really tired we still just “sigh” when we pull up the covers. Two other splurges I still love as much as when purchased are a large rabbit that sits on my entry chest, and a gorgeous scalloped round pedestal table that sat in my entry in my previous home (no room for it here) so it resides between my living room chair and sofa in the corner. 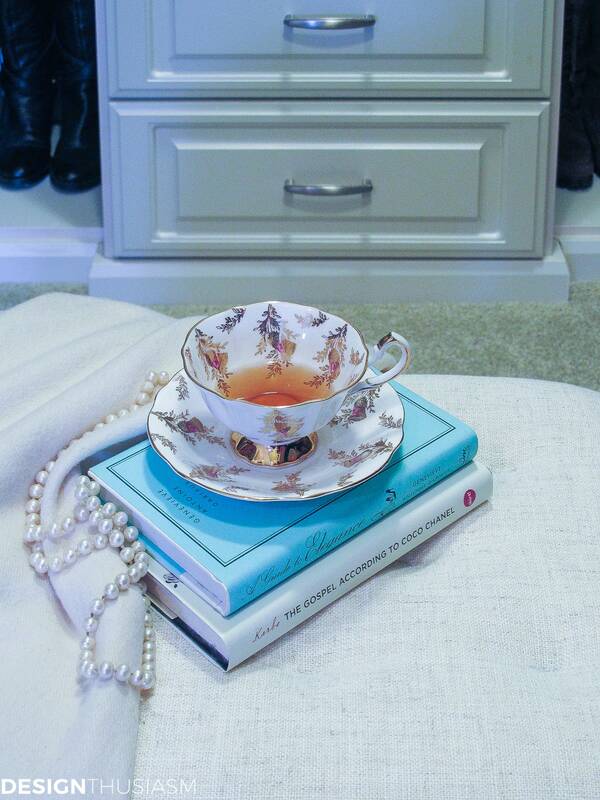 When you truly love a piece, you can almost always find somewhere for it in the next house. Those hours of hunting for the perfect pieces surely weren’t wasted time! In fact, we joke that we can never get divorced because we would both want the table! Good tips! I try to buy as much as I can off craigs list, and have really found some nice pieces. But definitely a sofa and mattress are worth the splurge! For coffee tables, I’ve used the traditional trunk, a wood piano bench (with a lift top for storage), and an old fashioned hauling sled that had a base made for storage. We put a piece of plexiglass on top and it makes the best table yet. There are some people who love costume jewelry, and there is fabulous statement stuff out there. There are some people who wouldn’t be caught dead wearing anything but good, fine jewelry. Taste in home decor seems to be similar. To each his own. Where can I purchase the coffee table from this post? I love it! I wish I had this advice when I was a newlywed! I wouldn’t have these oriental rugs and expensive lamps that I can’t even give away!! You always give great tips…Thanks for sharing. Thanks for your good advice. I needed this when I was a young married but can use it now, too. I think going cheaper on the furniture as long it has good bones. And splurging on linens and things we actually touch and snuggle with is the way to go. Your advice is always so right-on perfect and inspirational to me. Thanks for sharing. I love your site and never tire at looking at your pictures and reading of your great ideas for the home. I met you once in Florida at Abbeys bridal shower and have been following you ever since. By the way, congratulations on your new granddaughter. Hi Dorothy! So nice to meet up with you on the blog! Thank you! Emma Kate is just so precious! Also think bedding is crazy important as well!!! Totally agree with your lists. Just read this post and listened to the DTT podcast on What to Splurge On. I’m busy in the gardens, but it rained today, so can take a little time for all three of you gals, and how I do enjoy it! I agree with your splurges, and want to say thank you for mentioning my question when you discussed wood bead board, moldings, etc. I agree that quality is worth the extra cost! Great post, with lots of sound advice. Your list is good to keep and ref. too. A while back I decided I was only go to purchase items I totally love. So sometimes I see if I can copy or find something similar if it is too high, or save my quarters. Great list of ideas. I regret spending too much money on our living room sofa and chairs and now feel stuck with them because of that. At the time I thought having good quality that would last was important. Since then I’ve decided it’s okay to get some cheaper items because my tastes change. Live and learn! What features do you look for in a quality lamp shade? And where do you buy them? Love that swan. I love unusual treasures! I so enjoy all of your posts. Thanks for being so inspirational! Here’s my mother’s tip. Never buy a sectional, it is not versatile. No one wants to be wedged in its corner when you have a group of adults, its look can never be other than casual, and it may not suit the proportions of the room where you next move. Better investments are sofas, love seats, chairs, and ottomans. what a great list!! We think we are changing decor often but I was watching I Love Lucy and the furniture changed with the times. I think of my childhood and Mom changed things too. I think our generation actually hangs on to lamps and sofas and tables longer than previous generations!! I like your buy reasonable and your buy quality lists. Food for thought!!! 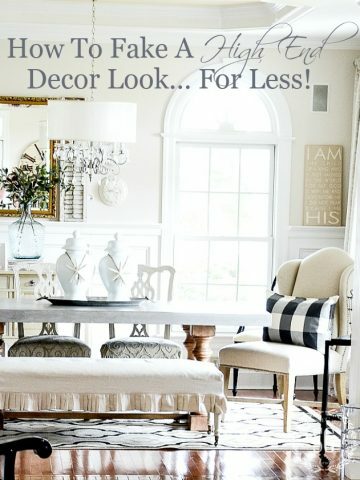 Decor splurge, what a fun topic! Love your podcasts and love your blog! Thank you for bringing beauty into my every day life. It’s quite a gift you have and one that I can only hope to emulate. Great inspiration. I am about to replace my sofa and chairs because I’ve had them 15 years. You cemented what I was thinking! Huge THANK YOU! I still believe everyone has different items to be placed on different lists. For me, I can’t stand a cheap rug over beautiful hardwood floors. 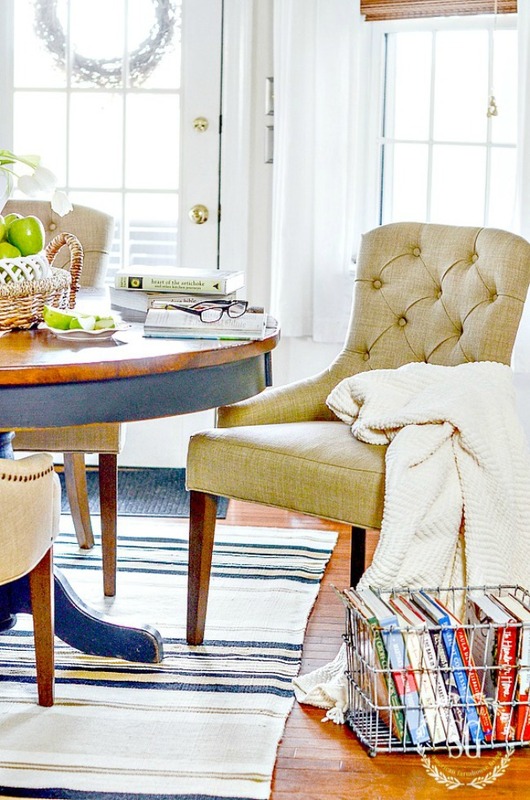 I scoured rugs everywhere, checked prices and waited for a sale at Pottery Barn. I’m still waiting to get a 9 by 12 jute rug to go under my king size bed. For me, a rug is something I see daily and walk on…so it’s got to be soft. I bought a Ralph Lauren jute runner at Home Goods and it actually hurt my feet to walk on it…I’ll never make that mistake again. Pottery Barn’s has a mixture of chenille and it’s soft! I’ve already checked it out in the store. Thanks for the post, Yvonne. We have a wholesale design center nearby that has a HUGE selection of faux stems and greenery, in all varieties/types of faux. Plus, they have a coupon each week for extra savings. It’s a blessing to have, at least, this type of store close by (‘cuz we sure don’t get too many great flea market/garage sale finds around these parts). Have a great weekend! Praying for your healing! Yes I agree on your splurges. Thanks for sharing your tips on what to splurge on and what not to. It’s smart to evaluate how a decor item is used, how long it should last, etc. These questions will help us evaluate how to best spend our money. Somebody who gets tired of art pieces easily, may not want to spend alot on each piece, because they know they’re going to change them frequently no matter what. You’ve definitely got me thinking. I’m right there with you on splurge do’s and don’ts. I love your expression “makes my heart sing.” when I get that can’t live itbout it feeling, I know that I will regret it later if I don’t purchase it! Wow! Ian 100% with you in your splurge and not to splurge lists! The only thing I really haven’t gotten into are the faux blooms and probably because I haven’t looked in the right places to find the ones that look real!! Your ideas are awesome! Thank you! Love this post Yvonne. Last year we splurged on mattresses and what a difference it makes-snoozing better than ever. 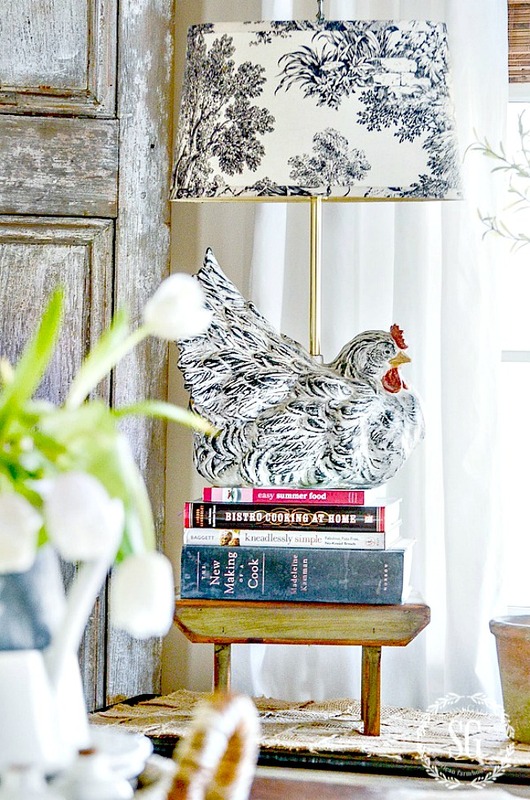 I just love your chicken lamp and shade, I have a collection of beautiful roosters, they are so fun and whimsical. We also splurged on our long over due sofa and oversized chair with nail head accents-loving them. One thing that I need to incorporate is different pillows the problem is trying to find the right ones. Thank you for all your wonderful ideas and especially your love for décor. Great post and so on point! Yvonne- I agree about the couch. A quality couch will pay you back many times over! I love your lampshades!!! One other thing that I would add to the do not splurge list is curtains. You can get really nice curtains and drapes at reasonable prices! The advice is great–especially what to look for in a couch. I’d like to forward just that one piece of advice to my daughter! Great tips! I agree with the comment on splurging on quality sheets linens! Looking forward to your upcoming episode on this topic since I have splurged on what I thought was quality linen because of high price but they were poor quality! I so agree – invest & splurge on lamp shades, sofas & your mattress! For, everything else buy at Garage/Tag & Estate Sales, thrift & vintage shops as the quality & workmanship just isn’t present or affordable in today’s market. One-of-a-kind treasures are such a thrill when found & fun to create something unique with just a can of spray paint or fabric. I made those velvet pumpkins from your previous Autumn post, from a $4.99 skirt I found at the Goodwill. I reupholstered our dinning room chairs & matching pillows for $20 with some gorgeous old 1970’s hand embroidered Crewel drapery panels I purchased at an Estate sale. 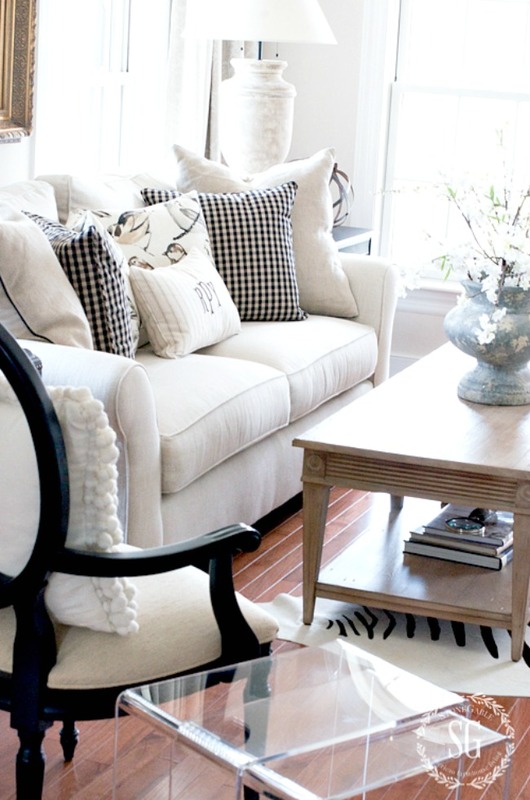 (Truthfully, I could have reupholstered our sofa & chairs with all those drapery panels!) Plus, these finds are easy to swap out when you are tired of them – just revamp or, donate them for someone else to enjoy! Yvonne – many Thank Yous for your posts continually inspire me! You are my kind a gal! Well I have two lamps I have near the door to donate. While I like the lamps after reading this post I realize it’s the shades I don’t like. Soooo the lamps are staying and the shades are going. Also I’m remodeling my dining room and I’m taking advice from an earlier post on indoor outdoor rugs. I found a lovely one from Ballard Design that will be perfect and it’s currently on sale. Yay!!!!!!! You have been a great help during my kitchen and dining room remodel. Such good advice Yvonne. Faux blooms are so much better today than in the past and if you spend a little more they are certainly worth the investment. Thank you for making it so clear. I sometimes get pressured about decorating for an upcoming event and make bad decisions. Your blog is appreciated! I agree with your not splurge list. There are so many decor ideas for art, lamps, etc that it’s too much fun not to have options! I really enjoyed this post. I think buying a bed is the most difficult purchase to make. Your home is so lovely and I loved the menus. Love these Podcasts and tips. Thanks for doing these. I have a weakness for original paintings and will splurge on these, if they truly speak to me. I am usually drawn to certain colors over and over, so the artwork can be rotated in my home. I love beautiful lamps, also, and have splurged on these over the years. I realize you can mix the very attractive, inexpensive lamps of today with the more expensive ones for a handsome look. I totally agree about investing in a well made sofa and the chairs that are used daily. If you cannot get a vision out of your head, try to find a way to purchase the item or copy it!!! Thanks for sharing your lists with us Yvonne. I totally agree with you on your do’s and don’t’s. I love your style!! Thank you for the fabulous tips Yvonne, very helpful! I love garage sales and estate sales. i have found if I will be patient I can find so many very nice items for our home for very little money! I love to change things around and in doing so I can enjoy those changes and spend very little! I enjoy your site and look forward to your topics!! Great advice. The swan is awesome. Prayers for your healing. Home goods here I come! You make a few references to good or high quality mirrors. Are you talking vintage vs new? The frame? The mirror itself? What is a high quality mirror? Can you expand on the topic of mirrors? I totally agree especially about splurging on a mattress and a sofa. Your home always looks so inviting. I splurge on vintage glassware. It makes my tables sparkle. Thanks for your great ideas! Love your advice. I too feel the same way. I like to change it up now and then but have good foundation pieces. When I first got married I bought a floral sofa and loveseat(remember matchy matchy?) what a mistake. I had to live with that for 13 yrs while kids were small before I could buy something else. Now I know to buy neutral and punch it up with pillows etc. But decorating is cyclicle(sp?) so you never know what will be trending in 3 yrs! I couldn’t agree more with your list of splurge do’s and don’ts. I cringe every time I think of the $20,000 dollars spent on Oriental carpets ( not to mention cleaning costs) that I couldn’t even sell on craigslist. And in comparison how happy I am with the wool area rug I just purchased online for $750. I agree sofas are an investment piece ( not lifetime) but I would add that it is best to select a neutral sofa and then have oodles of fun bringing in coloring with accessories. Where do you shop for lampshades? Beautiful, well-made ones are difficult to find. The art seems to be disappearing. I have art that was expensive but worth every penny bc of feelings it evokes for many years. But I also have fun, enjoy-for-few-years, wall decor which was inexpensive or handmade by me. Great post – thanks for your ideas. I buy inexpensive lamps but never thought about swapping out the shade. Excellent pod cast, love your ideas on what to splurge on!!!! Splurging is such fun! 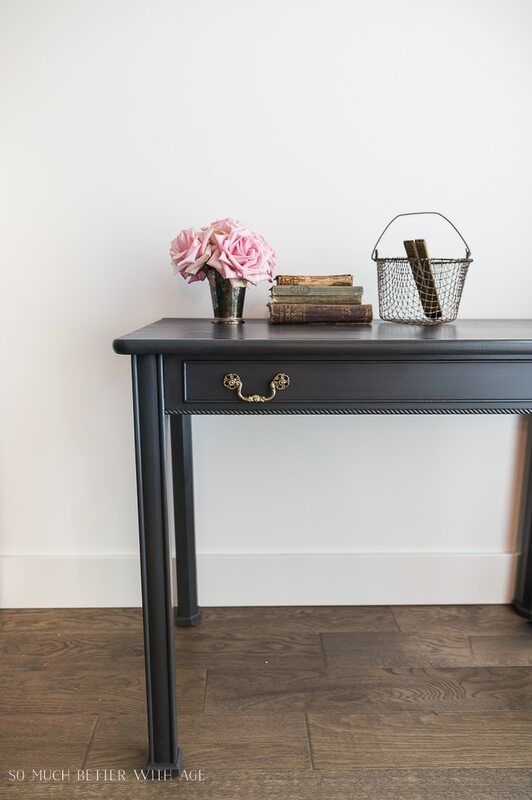 I haven’t done it often enough but my favorite piece is my beautiful desk and hutch that I got from Ballard Designs and I had my eye on it for a long time before it actually came to my home. It’s perfect. Love your posts. You just reinforced my splurge and no splurge items! As always your tips are wonderful! Thank you so much for the wealth of information Yvonne!! I love the lamp shade idea. Would you please share where you find yours? Thank you for all your wonderful decorating ideas. I so agree with statement pieces! A few years ago while visiting my daughter, we were exploring her favorite antique mart in Castle Rock CO. I spied a gorgeous oversized, metal reindeer. I loved him, but he was a bit over my budget and I didn’t think he’d fit in the overhead bin on my flight back to Chicago! Eventually, I turned around and bought him and my daughter mailed him home to me. Imagine my surprise seeing one of your Christmas-in-the-dining room posts, and his twin brother was sitting majestically at your table too! I have never regretted making that splurge purchase! Follow your gut! Yvonne what good advice for splurge and non splurge items. I’m starting my list this morning as I sit and have my morning coffee. Thanks and have a great day. Smart to know what you are willing to splurge on with furniture and clothing. Thanks for sharing your ideas. As always, great advice!!! Your home is so beautiful!!!? I always love seeing pictures of your home, and getting your tips is a plus! I too really love to find that special something that just makes you happy everytime you see it in your home. Thank you for sharing your knowledge! It’s awesome! Until I start generating income again-everything is a splurge. Lol! I will splurge these days on Rae Dunn or white dishware. I seem to have an obsession with pitchers, platters, sugar/creamer bowls, white dishes, etc. I don’t even drink coffee, but sweet little creamer/sugar bowls draw me in, as does a pretty platter or cake stand. I’d like to share 3 additional 3 suggestions for using faux greens nd flowers: 1. Display only what is naturally in season at the time 2. Store them in the plastic sleeve that fresh flowers are sold in in a retail store and finally dust them when necessary. Oh, I just thought of #4 – Don’t hesitate to mix faux with fresh in an arrangement! I am amazed at the energy that flows through your posts! Even more so after hearing of your recent surgeries! Who knew of your months in a wheel chair? You are amazing! Great tips, especially about the rugs. you have mentioned using indoor /;outdoor rugs, and they are very affordable and very durable! I’m looking for a new rug for my living room now! Thank you for your Do’s and Don’ts on splurges! Sometimes it helps to see it on paper. I splurged on some beautiful orange faux tulips this year! I have had several friends check them out to see if they are the real deal. Some of my favorite artwork is posters that I had matted and framed by a local Mom and Pop framing store. The original artwork is more than my budget will allow and with patience after a few years the artist will make posters of some of the originals. Have also framed some of his notecards to place on side tables as an accent. 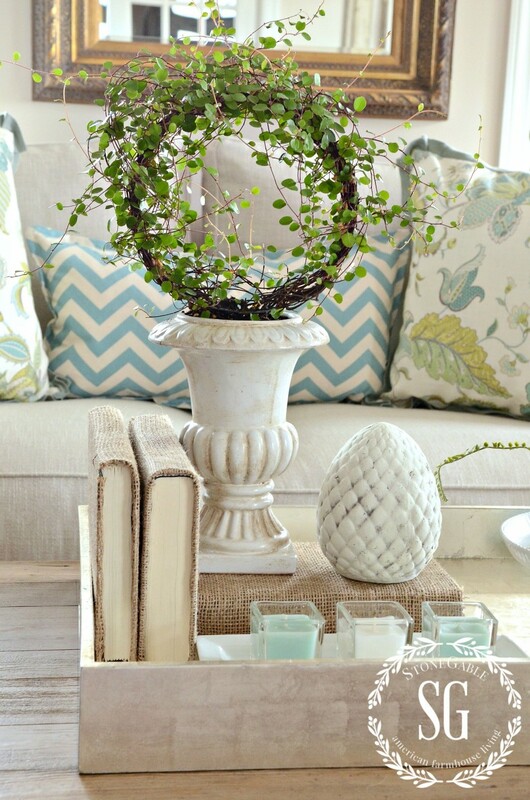 Great tips and good to know that you agree with me on the faux plants – as long as they look good. 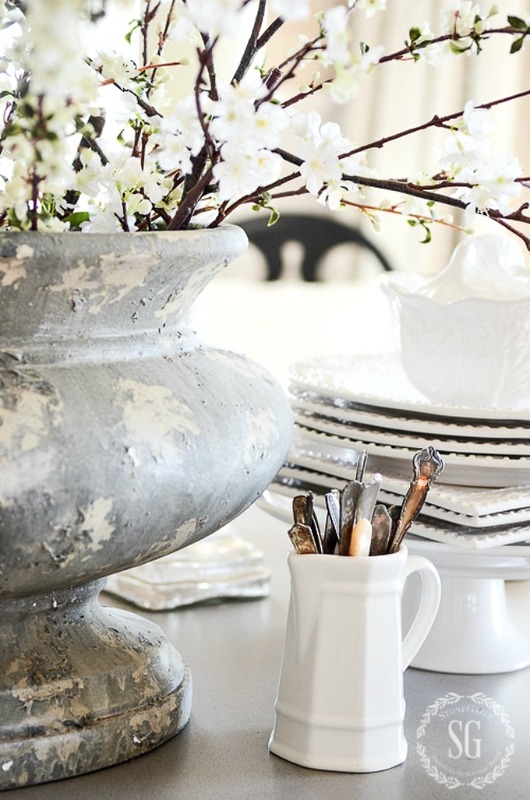 Pottery Barn always has some good faux ones – and if Pottery Barn can do it, I can do it! I have a couple rugs from 15 years ago that are holding back my decorating because I feel guilty about getting rid of something I spent a lot of money on! I am not falling into that trap again! Enjoy your weekend! Υvonne every time I read one of your posts I feel like a teenager back in high school. It’s as if you are our teacher and we are learning from you.Thank you for all of your wonderful ideas. Have a great day. Barb one of my goals for StoneGable is to teach and the other is to inspire! Thank you! Because of you I now realize the beauty of faux flowers! They have become so real looking and although expensive, they are well worth the price since you have them forever! I swore I would never buy faux because my mother always bought them and they looked fake but not any more! It has really made a big impact (using faux flowers and blooms) all over my house and I thank you for that! 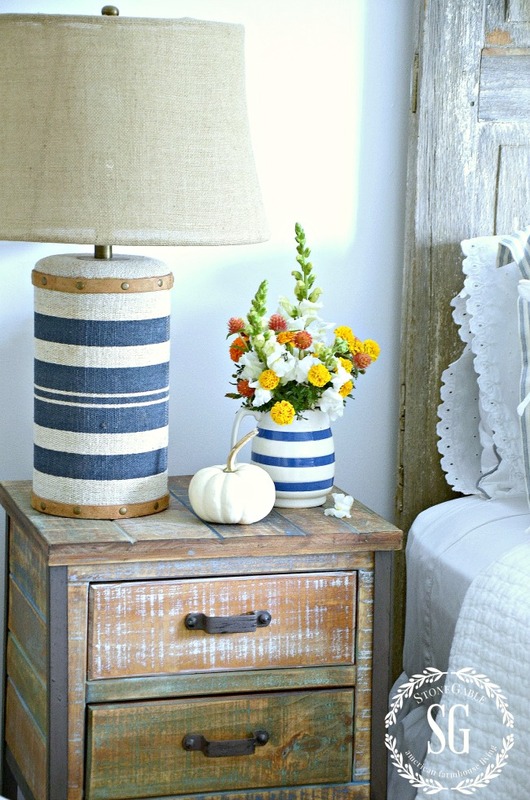 Great info- I really like the blue fabric lamp in the first photo , did you cover that yourself? -If so could you share a titorial. No, I found this lampshade at Pottery Barn. Just signed up and I am really enjoying your posts and podcasts. Thanks for sharing! Thank you for all the ideas. I agree on all. I am right now spray painting an old brass lamp yellow to go into a bedroom. I agree shades are a different story but I am hopping by spray painting the one I have it will work. If not off to homegoods. Great post as usual. I’m going to start my own lists. I am going shopping for decor soon and it will be a great way to squelch impulse buying. That’s right Candace! Perfect to give you a place to start! You always give me lots to think about. Thanks for sharing. Enjoy your day. Wonderful tips thanks! I always love your dishes, they are beautiful! Love you site! It always puts me in a better mood after I read Stone Gable! Thank you for the great advice on what to splurge on and not. It all makes so much sense, why haven’t I thought of this?? The faux flowers and greenery is a huge one for me, I have bought several items in this category and did not buy the higher quality so I could save. It really does make a difference in a room!! Thank you!!! I’m glad StoneGable makes you Happy Melissa! 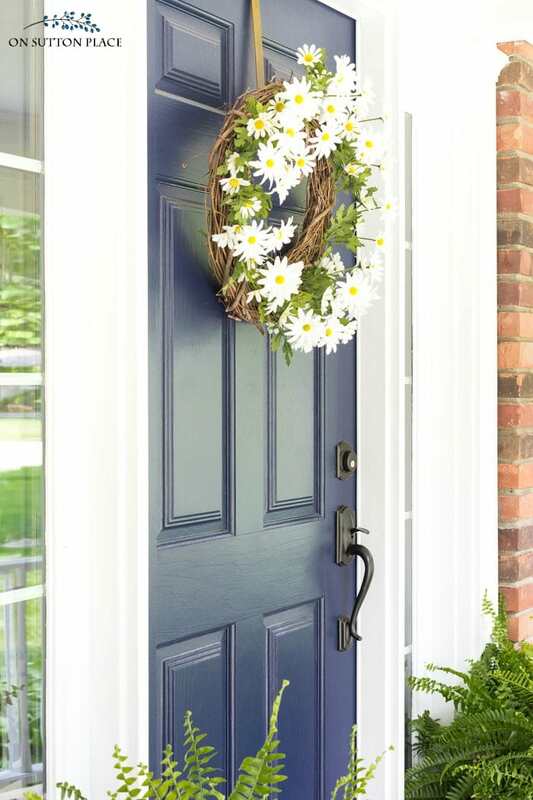 I just splurged on a boxwood wreath!